There are several ways to carry your deep attachment to your love in the sweet Valentine's Day, such as buying some gifts, sending a bunch of roses, and preparing a romantic candlelight dinner. An additional Valentine’s Day card will help you to speak your greetings loudly. 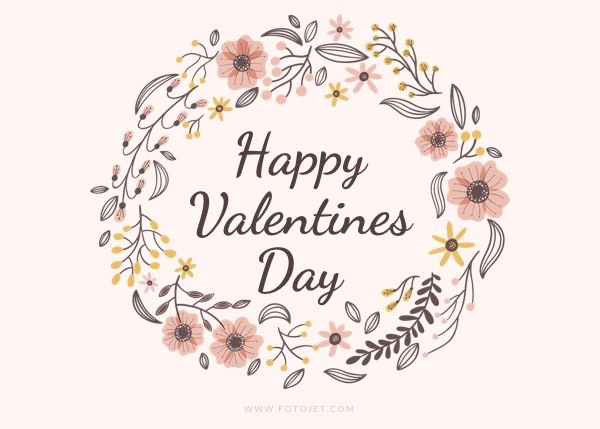 This template featuring a beautiful wreath image will give you some inspiration and allow you to customize some valentine greeting cards easily even you are not an experienced designer. Editing tools give you many customization possibilities to get pro-looking valentine card designs.